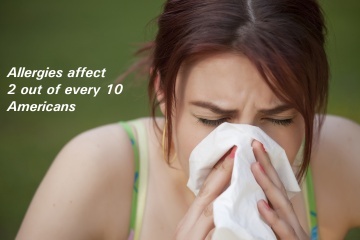 Sneezing, itchy, watery eyes, runny nose (clear discharge), coughing, nasal congestion, hives or other skin rash, headache and fatigue are some common symptoms of allergies. These symptoms may be mild to moderate but some allergic reactions can be severe and even life threatening. Your allergy test results may show that allergy treatment is a choice for you. There are several allergy treatment options. Over-the-counter and prescription medications can ease annoying symptoms. Allergy shots also help.